Take your 200QX and shave grams off the weight of your stock frame. 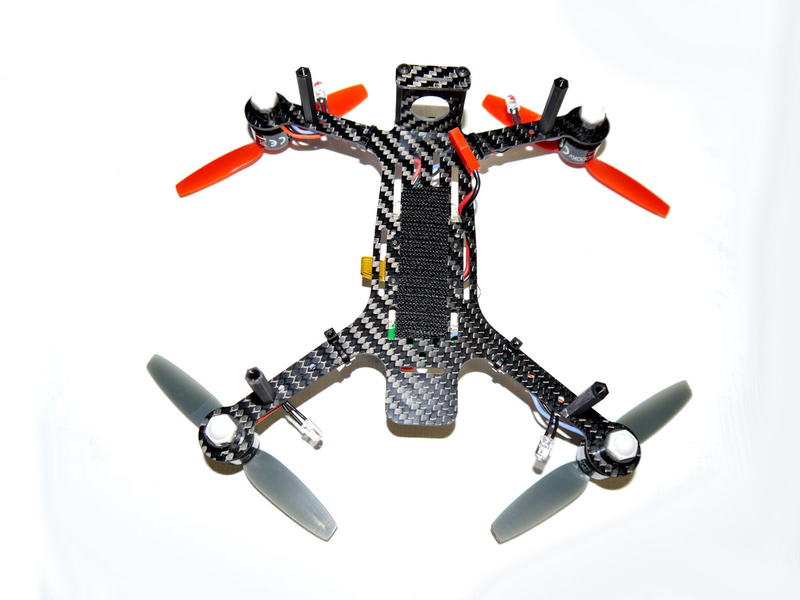 This new 2.0mm 3k twill weave solid carbon fiber frame we designed here after there was a call from the sport flyers for an even stronger frame. With the release of the flip capable firmware those of us who want to really start advanced acro maneuvers are going to be pushing the QX to new limits. 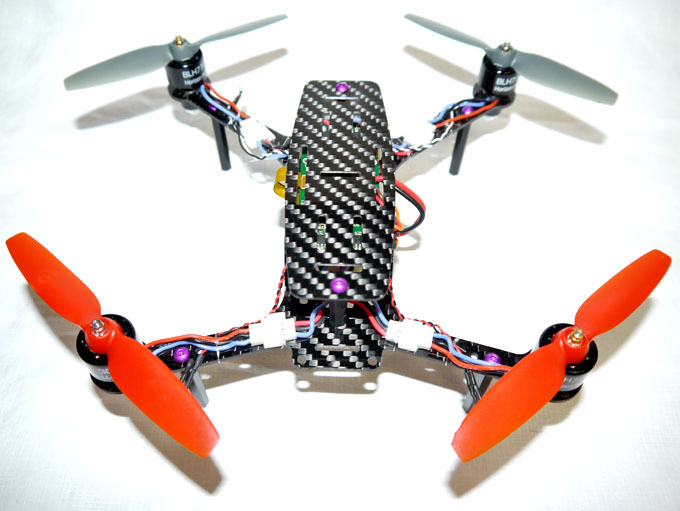 We have made this heavy duty solid 2.0mm carbon fiber frame to be lighter, faster, fly longer and remove the restrictive battery compartment. We kept the frame within the same footprint as the stock frame to utilize any cases that are available for the stock 200QX. This will fit into any of those cases with little to no modification to the case foam. 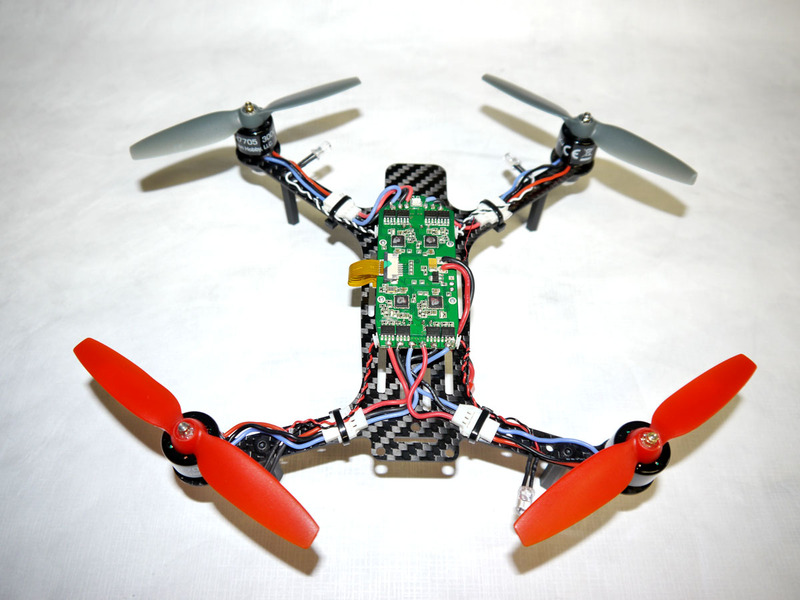 These mods allow you to take your 200QX to the next level. Durability was a crucial component of the frame design. After experiencing tragic failure of the stock 200QX frame on a very early flight we first wanted to get more aggressive in our flights and the stock frame just didn’t seem up to the task. The motors mount to the carbon fiber one piece frame with just a motor spacer and M7 jam nut to keep weight down. 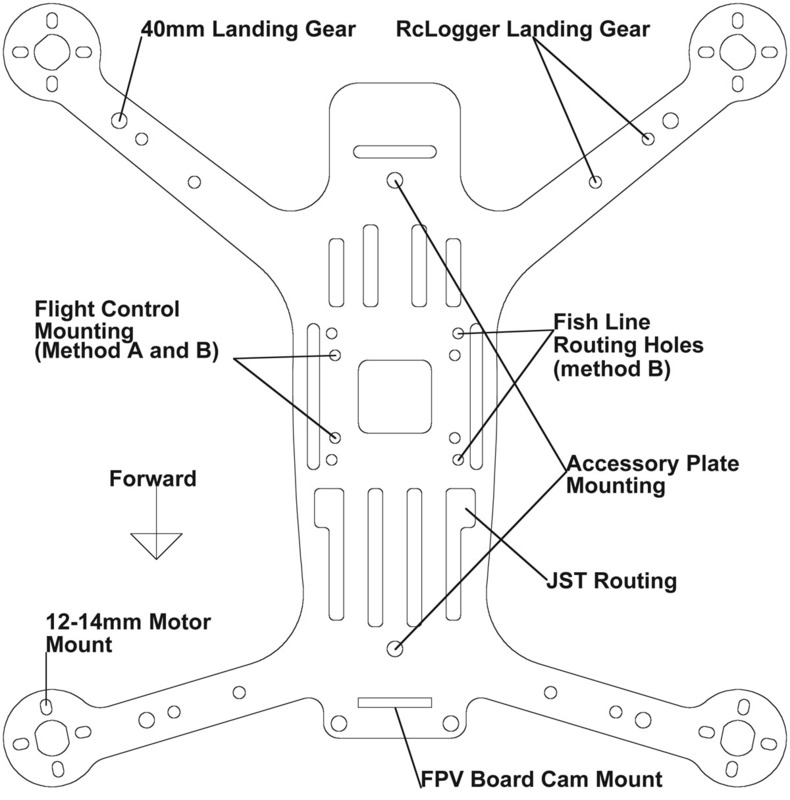 Mounting points on the arms allow for three types of landing gear. The included standoff landing gear or RcLogger Xtreme EyeOne landing gear, both the 38mm and 79mm landing legs will work. Lightening of the frame was easy, single piece construction with minimal hardware and material removed from the central frame for improved airflow on your 4-in-1 ESC board. Reducing the overall wind profile of the craft is another great benefit of this frame, providing faster forward flight less affected by crosswinds. Airflow improvements have greatly helped in our high stress acro flights of the 200QX and turn a stock mini quad into the high performance CarbonFiber 200QX HD Mini H.
Longer flights have also been made possible through the elimination of the battery compartment allowing for the installation of any 800-1500 2 cell batteries with a JST connector. 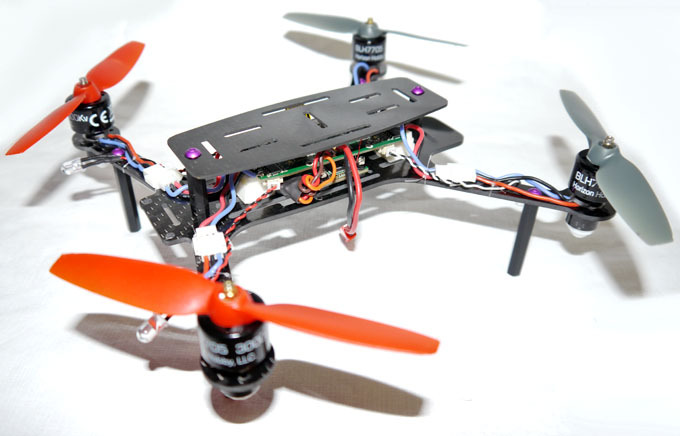 Battery consumption is much lower with all of the bulky plastic frame gone, less motor power is required to perform arial maneuvers reducing current draw on the FET’s. With the the stock canopy frame removed we found that the ESC board runs around 50 degrees cooler, even during high current draw sport flight. For the transplanting process the 200QX is hands down the easiest conversion that we have come up with to date. 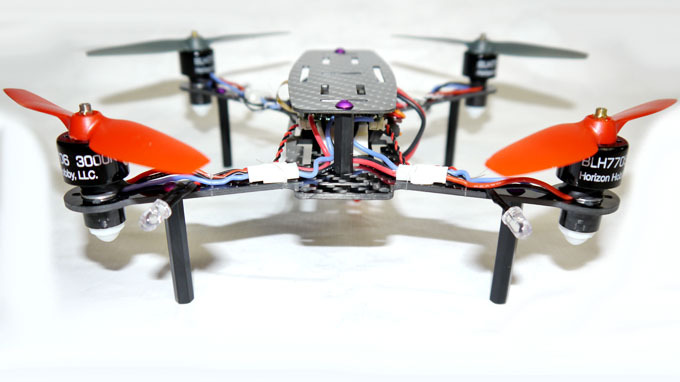 The 200QX frame splits apart and all of the internal electronics are held and mounted with 8 #0 phillips screws and the motors have just a acorn nut holding them in place. No soldering, lengthening of motor wires or advanced skill is needed, the entire process takes 30-45 minuets to complete. 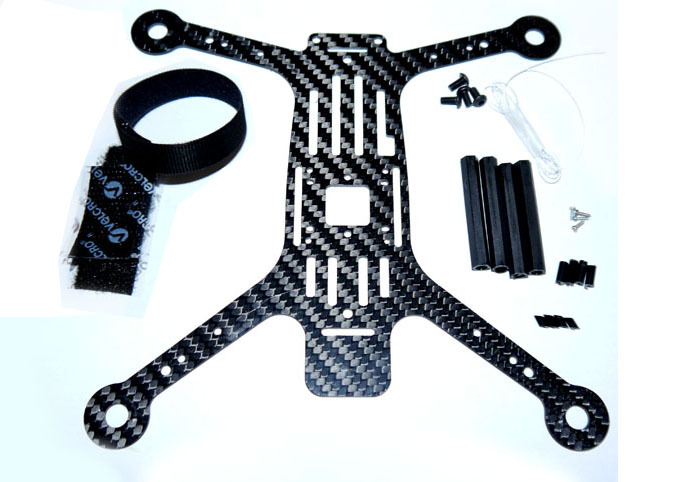 This update to our original 200QX frame has a couple improvements to the durability of the frame, cut from 2.0mm carbon fiber improves the rigidity of the whole frame, keyed holes for the stock motors to mount in and, multiple motor mounting options. Spacing on the motor holes will accommodate a variety of motors that mount on 12-14mm spacing. Phoenix Flight Gear recommends the Rc Tiger MT1306-10 motors paired with the 6x2 t-motor carbon prop and you’ll see your 200QX come to life with stronger faster more efficient flights. SAFE™ (Sensor Assisted Flight Envelope) technology is a revolutionary electronic flight envelope protection system. It also offers smoother flight capability that battles windy conditions for you and multiple modes so you can fly with the level of protection and assistance that suits any given moment of the flight. In camera mode, advanced stability and small pitch and roll angle limits combine with smooth electronic self-leveling for stable image and video capture. High intensity internal LED lighting provides status indication as well as orientation. The lighting system is hidden under a translucent fuselage and provides optimal visibility during the day and night. The 200 QX is powered by four authoritative brushless motors which provide intense power for aerobatics, precision flight and even heavy payloads. Thanks to this aggressive power, the 200 QX is capable of carrying addition weight and can be flown indoors and outdoors in medium winds. 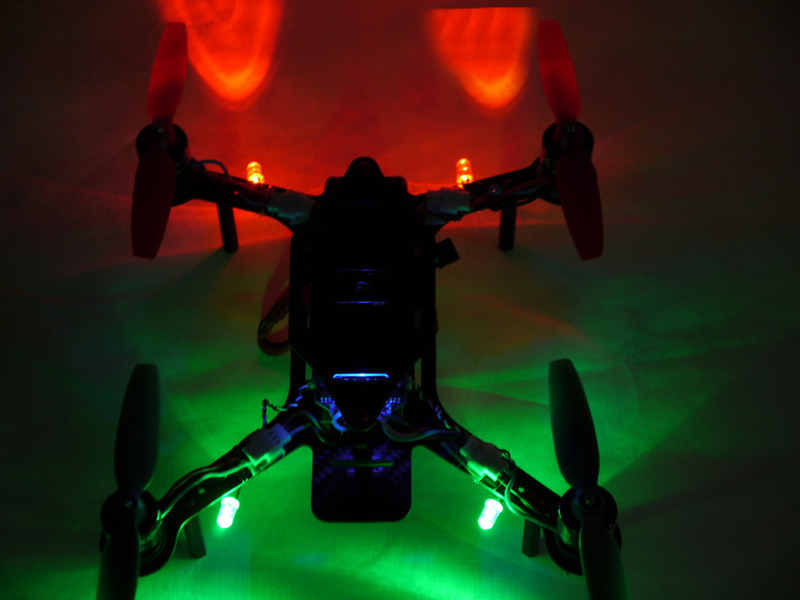 The Blade 200 QX has been optimized for use with the E-flite® EFC-721 HD camera. When paired with a Spektrum transmitter this intuitive camera can accept commands to capture quality still images and HD video during flight. The Stability (Bailout) Mode is similar to Stability Mode for upright flight. In this mode the throttle is offset to run only from 51% to 100%; this throttle curve helps prevent a pilot from accidentally flying into the ground when flipping out of inverted flight and back to an upright position. 3D Stagility Mode features a self-leveling characteristic that's active when the control sticks are released. Whether you're flying inverted or upright, the 200 QX will self-level so you can learn inverted flight with mild assistance. When flying in this mode, 0-50% throttle is reversed thrust and 51%-100 is positive thrust. 3D Agility Mode was designed for experienced pilots, anyone who has mastered inverted flight in all orientations and advanced pilots looking for a full 3D flying experience with no self-leveling. When flying in this mode, 0-50% throttle is reversed thrust; 51%-100 is positive thrust. Thanks to its integration of SAFE technology and its powerful brushless motors the 200 QX serves as an excellent camera platform for the E-flite EFC-721 camera. With minimal effort, you can pair this compact HD camera with the 200 QX and capture crisp images and HD video. Control functions allow you to take that perfect picture at just the right moment and to stop and start recording with the flick of a switch. The firmware update for the Blade 200 QX unlocks three additional flight modes so you can experience the aerobatic potential of the 200 QX. While the updated firmware software is free, the Blade 200 QX update cable (BLH7840) is required to install the software to a 200 QX. Additionally, pilots must install the appropriate propellers prior to flight in order to experience each flight mode to its full extent.